Metal Storm conducted an interview with singer Cristina Scabbia of Italian heavy rockers LACUNA COIL on March 28 in Colorado Springs, Colorado. You can now watch the chat below. 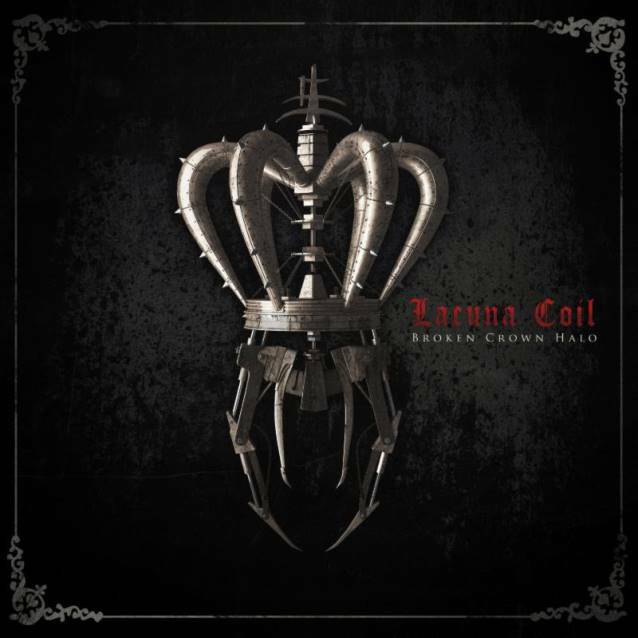 LACUNA COIL will play a special "Broken Crown Halo" CD-release show on April 1 at The Roxy Theatre. There are no advance tickets for the concert; fans must buy a copy of the new CD at The Roxy on April 1 to gain admission to see the band perform live. "Broken Crown Halo" will be released in North America on April 1 (one day earlier internationally) via Century Media Records. The CD was recorded Italy by producer Jay Baumgardner (P.O.D., SEVENDUST, EVANESCENCE, PAPA ROACH) and engineer Kyle Hoffmann (P.O.D., BUSH, ZEBRAHEAD). The effort was mastered by Howie Weinberg, whose credits include RAMMSTEIN, SOUNDGARDEN, NIRVANA, DEFTONES and SHERYL CROW. LACUNA COIL last month hit the road as a quintet as part of "The Hottest Chicks In Hard Rock Tour" following the departures of guitarist Cris "Pizza" Migliore and drummer Cristiano "Criz" Mozzati. Marco "Maus" Biazzi handled all guitar duties on the trek while drummer Ryan Blake Folden once again sat behind the kit.